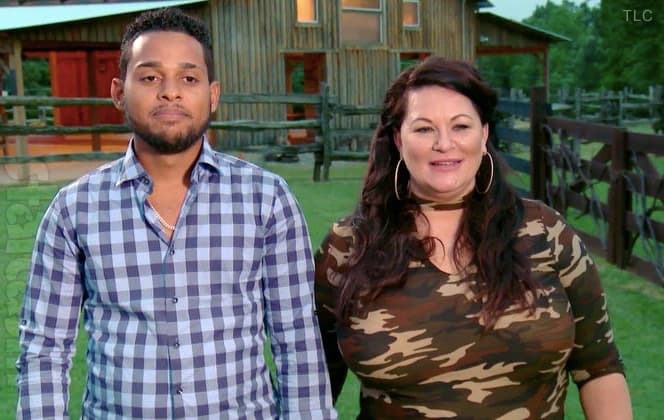 Before the 90 Days star Ricardo “Ricky” Reyes is still trying to repair the damage done to his personal image after his disastrous attempts to woo two Colombian women on Season 2 — all while still married to his second wife back in Texas. 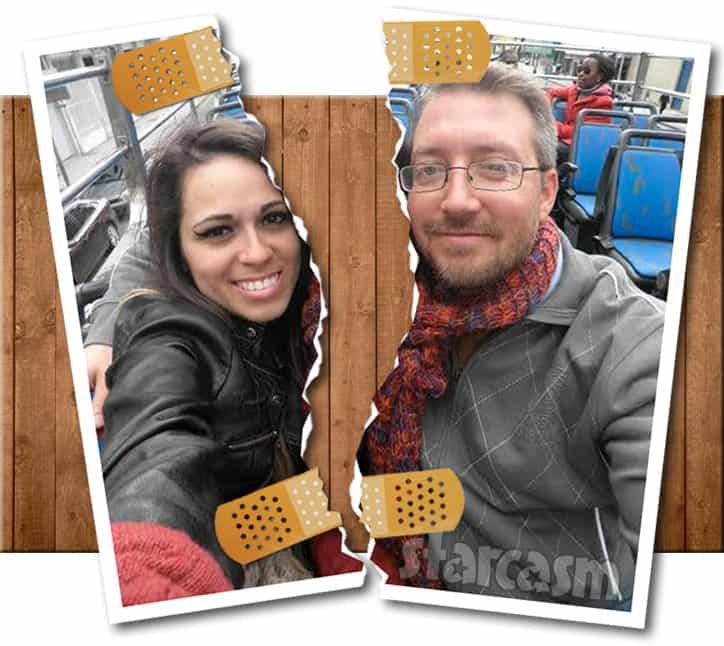 After taking a brief hiatus from social media, Ricky has since returned, and he recently penned a lengthy apology to both Ximena and his wife Natalia — an apology that Ximena did not accept. At all. Life has taught me valuable lessons, I have hurt and brought embarrassment to two people. I am ashamed to call myself a man and a provider. There isn’t an excuse for my behaviors. Quick fame (yes it is 15 mins) has brought to me attention in which the likes I have never seen before, and it felt cheap. I take no pride in participating in the circus act. One thing I can say with certainty is that these two women are both respectable human beings, and there isn’t any apology in the world I can say that forgive me for my acts. I was confused, in a mental battle, and unprepared. Made decisions in haste. If I can take it all back I would in an instant. However, I can’t live my life any longer with my head hung low, and that chapter is now closed. I have learn my lesson, and held myself accountable. I now will start a new chapter in peace. “Delete that photo,” Ximena responded in the comments. “I’m getting tired of your immaturity and desire to be noticed and appreciated and no one believes in your lies loser.” In a separate comment, Ximena pointed out that she didn’t think Natalia would be very happy about Ricky comparing the two of them before iterating that she didn’t believe Ricky was sincerely remorseful. 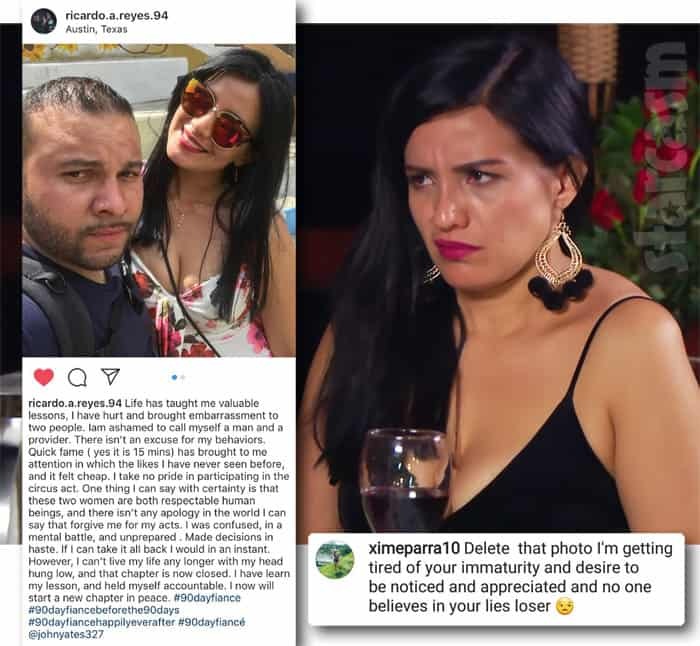 Another commenter responded to Ximena by calling her a troll for following Ricky’s page, and Ximena pointed out that she doesn’t follow Ricky but was notified by others and she felt like she should respond to the apology and the photo. As mentioned above, Ricky has since deleted the post. Basically, what I’m talking about is about the GoFundMe. 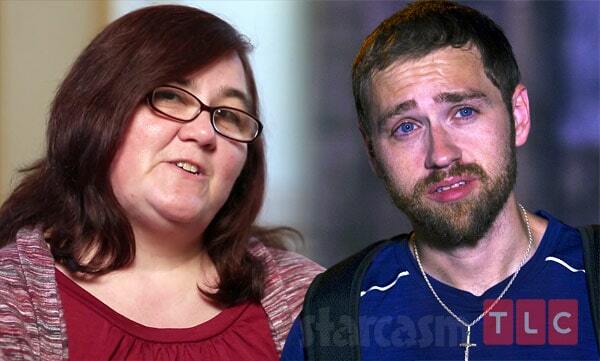 I don’t care if somebody likes me or not, but if you’re part of the 90 Day Fiance show, if you have some issues financially — I understand that TLC don’t pay sh*t, and it’s true — but if you have some issues financially, medically, or whatever is the f**king reason, you got three million people that watch the show. Offer a product or offer a service. And simply say “Listen, I’m going to charge a premium because I need it for this and that and that.” Don’t f**king beg, because that GoFundMe was designed for real people — actual real victims that are not on TV. You have three million f**king people that see your face. [Points to his head.] Think. I assume that the ubiquitous Cameo offerings would meet Ricky’s approval, as would autographed photos, etc. What do you think about Ricky’s take on cast members launching GoFundMe accounts hoping to raise money from fans without offering anything except gratitude in return? If you’re wondering if perhaps these two might have hooked up, I think Ricky clarified that when he mentioned that she doesn’t have a bad bone in her body.